Well, I completed a big-ish project last weekend and a smaller side project (pics of both soon! ), so I need something new to get my painting total up for Analogue! 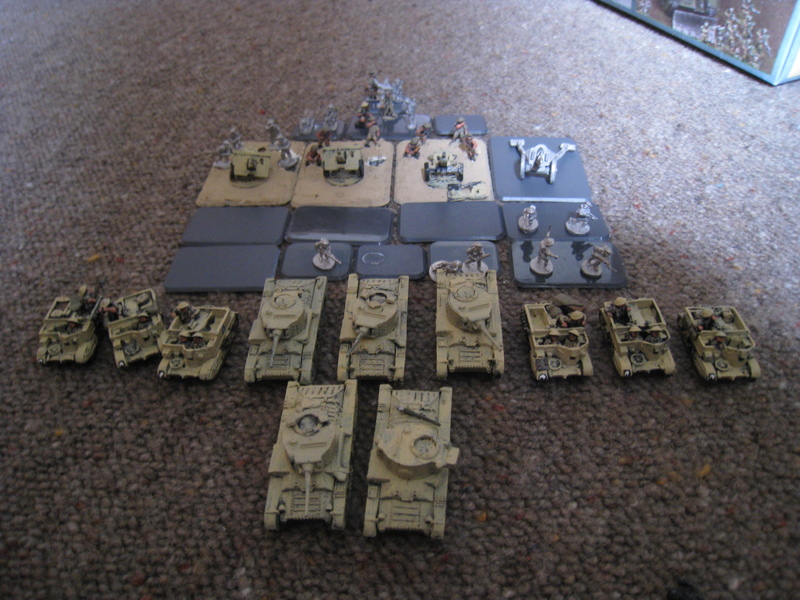 First up is my army for Valleycon- and after spending such a long time thinking I would be playing a German Kradschutzen company, a lack of motorbikes means that that plan went out the window! So, I was too short of panzers to run a proper company, and I have no inspiration to play a German Infantry company (they are boring, and I have played them before!). 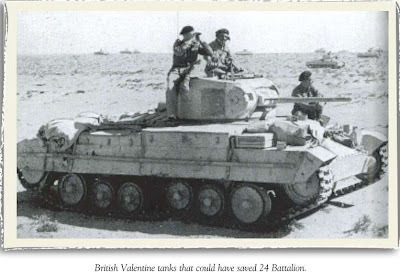 So, I am going with British instead! 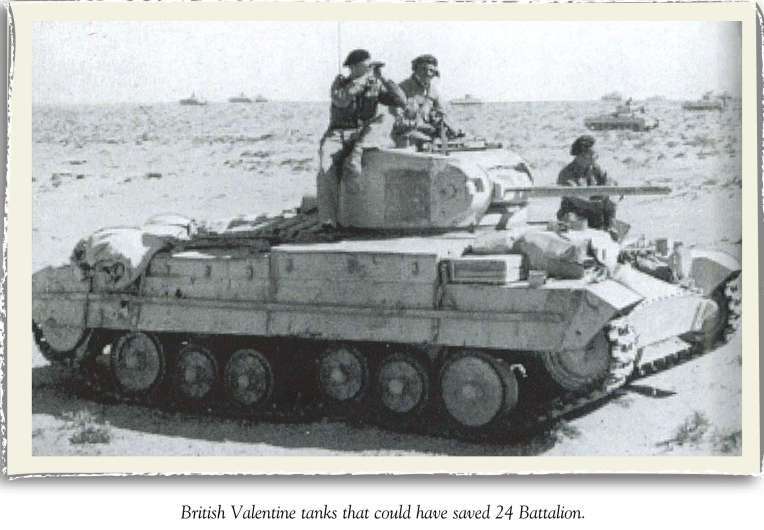 I am using the Early War powerhouse that is the Valentine Tank! So.. there is plenty of painting that needs to be done! The valentines have a base coat of dark sand on them, but that needs a few more coats before it looks anywhere near right! 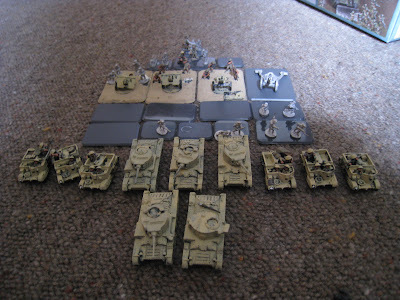 The artillery need to be put onto new bases (I don't like the ones they are on now)- the carriers need a repaint..... And so on. So that is project 1, this is project 2. Jamie had the cunning plan to adapt SAGA for the Trojan War. 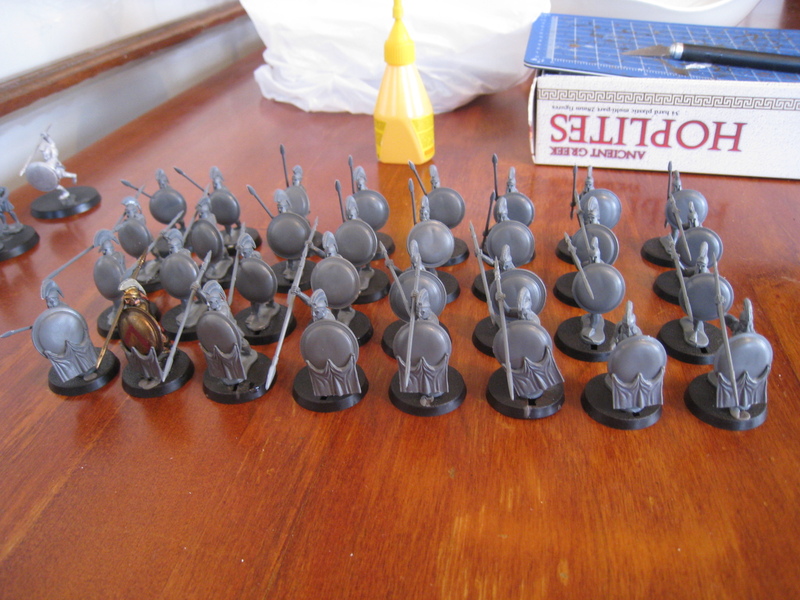 This is far more interesting to me than the Dark Ages (I will still make a Saxon army still...). 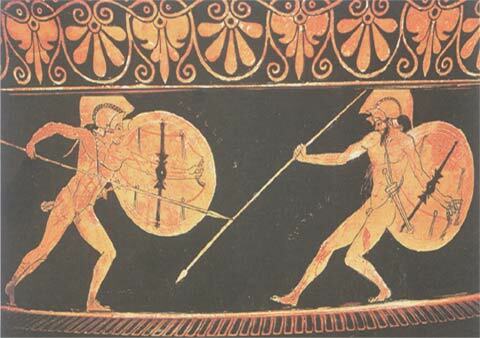 I have chosen the Achaeans as my army, specifically those killers who answered only to Achilles- the Myrmidons. Now there isn't a battleboard for them yet, Jamie is still writing it! But the overall plan for the Myrmidon list is that they will have no Levy. None. 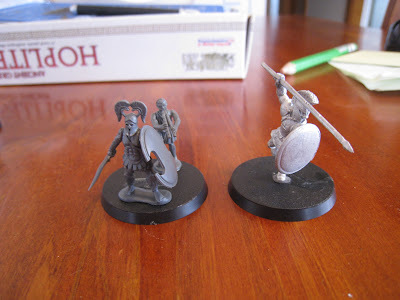 So the warband then is going to be Hoplites and better Hoplites! Which is pretty damn cool I think! And that's it! A 5 point army! We are currently working out what to have Achilles as- probably a "named hero", meaning he is an extra point. Generic Achaean Warlord (name to be determined) and Achilles himself! My hope is that SAGA Trojan War becomes a playground of heroes, the armies changing depending on which Hero is leading them, Odysseus, Ajax, Achilles, Agamemnon or even Menelaus for the Greeks. But more on all of this on the future, I am thinking this will be pretty cool! At the time of posting, the battleboard had been available for over seven hours ;) I am not 100% satisfied with that board though - as noted in the post, I think newer SAGA lists might prove a better base than the existing ones. What I've done (plus that existing hero) will do for now though. Craig - Impetvs is a very good game but just doesn't do heroic stuff 'right', IMO. That was why I never used it for Middle Earth either. SAGA works well as a big hero and his followers. I did the post in two parts, I wrote it early yesterday at work, but couldn't add photos! Sorry for being incorrect! I hadn't seen this yet. Effing cool stuff.